Clear color. Aromas of talc, salt, and white pepper with a round, crisp, dryish light-to-medium body and a tingling, delightful, long mineral water and lemon gelee finish. An extremely clean and refreshing vodka for stately martini’s, rocks pours, or any manner of cocktail. 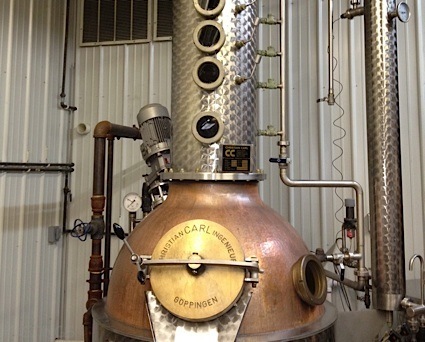 Bottom Line: An extremely clean and refreshing vodka for stately martini's, rocks pours, or any manner of cocktail. 91 • Kvint 3 Year Old Brandy 40% (Moldova) $5.99. 86 • Kvint Surprise XO 10 Year Old Brandy 40% (Moldova) $31.99. 95 • VOLK Vodka 40% (Moldova) $17.99. 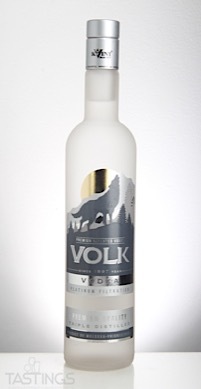 VOLK Vodka rating was calculated by tastings.com to be 95 points out of 100 on 3/19/2018. Please note that MSRP may have changed since the date of our review.